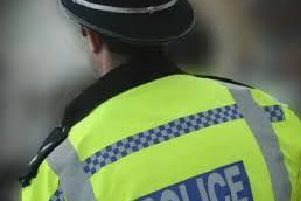 On June 22 2017 at 12.30am a 24-year-old man, was assaulted by two women and a man, suffering severe facial bruising, lacerations and fractures to his back. Stephanie Lowe, age 19 of no fixed abode, pleaded guilty at Aylesbury Crown Court to one count of causing grievous bodily harm with intent and one count of theft on December 11 2018. She was sentenced to six years’ imprisonment at the same court on Tuesday January 8. Lowe failed to attend court on August 13 2018, when two others were sentenced for the same incident on October 15 2018. Georgie Warford, aged 20, of Conniburrow Boulevard in Milton Keynes was convicted of grievous bodily harm and sentenced to six years’ imprisonment. A woman, aged 19, of Milton Keynes, was also convicted of assisting an offender and sentenced to eight months’ imprisonment. Investigating officer Detective Constable John Swallow of Milton Keynes Force CID said: “The three people who played a role in this distressing case have now been handed jail sentences. “Stephanie Lowe pleaded guilty to charges which relate to an incident in which the victim ended up spending three weeks in hospital following the attack.